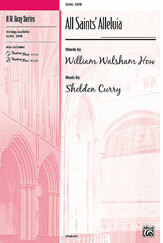 Using William Walsham How's For All The Saints text, Sheldon Curry gives new music and a rousing setting for this thrilling processional anthem. 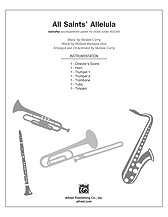 It includes choir, congregation, and optional brass and tympani. Designed especially for use on All Saints' Sunday this is a fabulous way to begin a fabulous service. It is also suitable for a Church dedication or ground breaking.